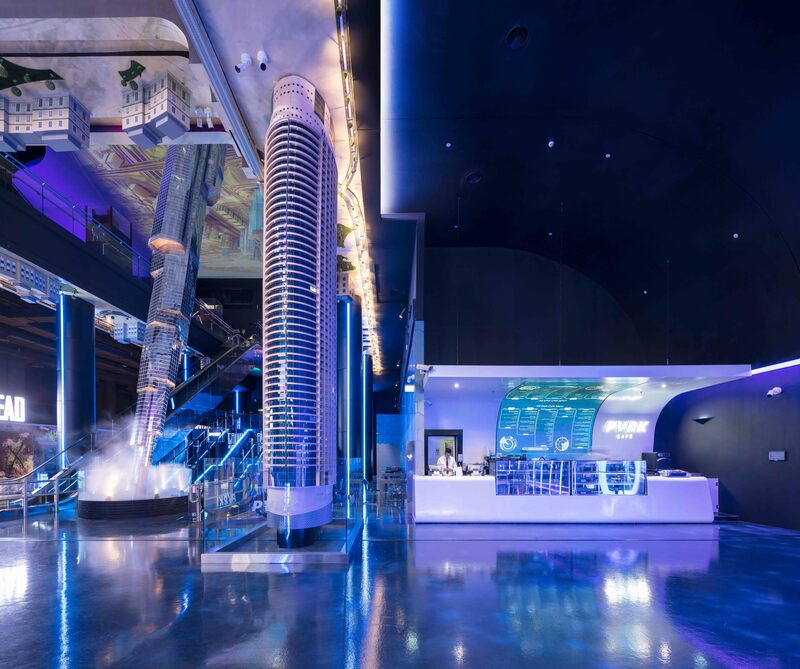 This week’s instalment of the #SBIDinspire interior design series introduces a new age of theme park with a thought-provoking and awe-inspiring dimension that Dubai has never seen before. 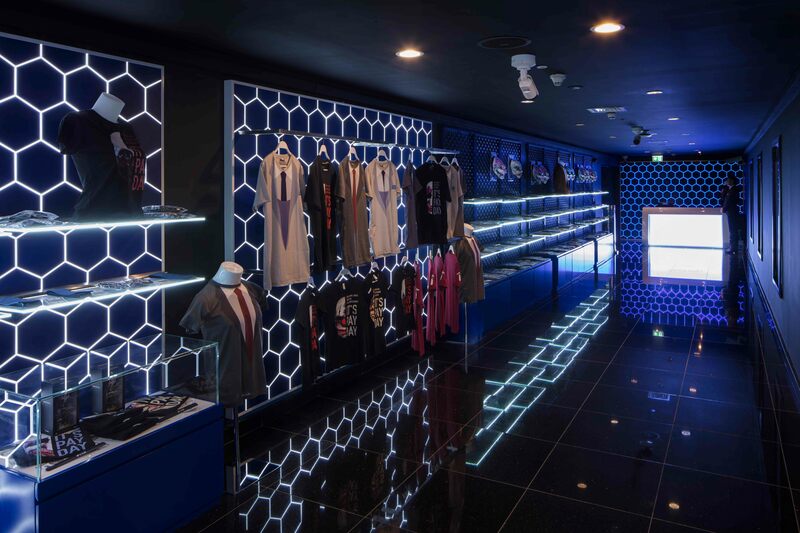 The design concept pays a very unique homage to the vibrant city that is Dubai, featuring a life-like replica of the infamous skyscraper, Burj Khalifa, from an entirely new perspective. 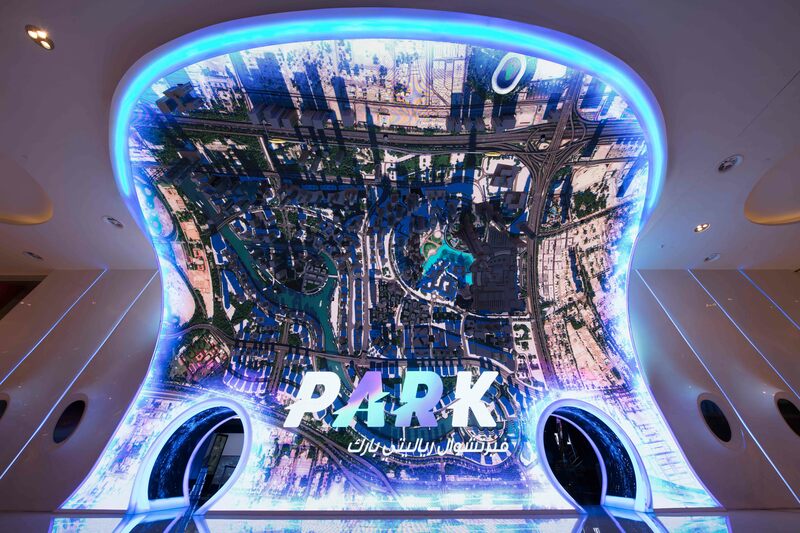 4SPACE Design took the brief of bringing the Dubai cityscape to life for this innovative theme park and made it a virtual reality to amaze and inspire the imagination of all its visitors! 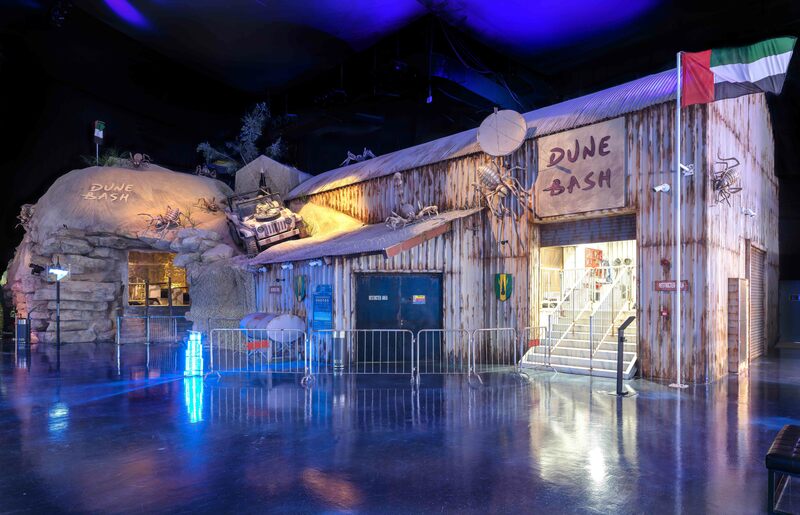 EMAAR Entertainment wanted to create a one of a kind virtual reality theme park that has never been created in Dubai before. 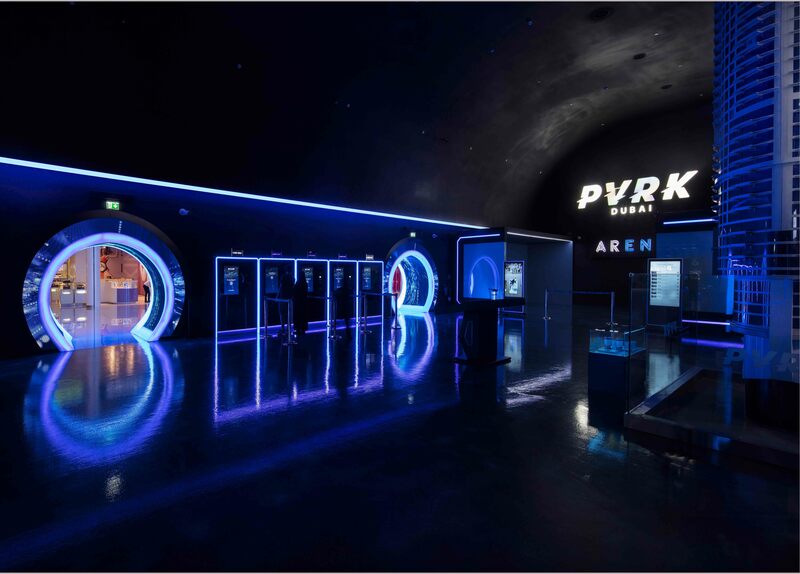 The design concept was to create a unique experience with a futuristic ambience which introduced visitors to the wonderful world of virtual reality. They were hoping for an innovative and thought-provoking design approach that would blow the minds of users visiting the space. The project is inspired by Dubai city itself. The focal point of the entire theme park interior is a giant model of the Burj Khalifa hanging upside down from the ceiling to the floor. The initial concept sketch started with the upside down Burj Khalifa and we collaborated with the theming company to get the proper proportion, finish, look and feel of the real building. 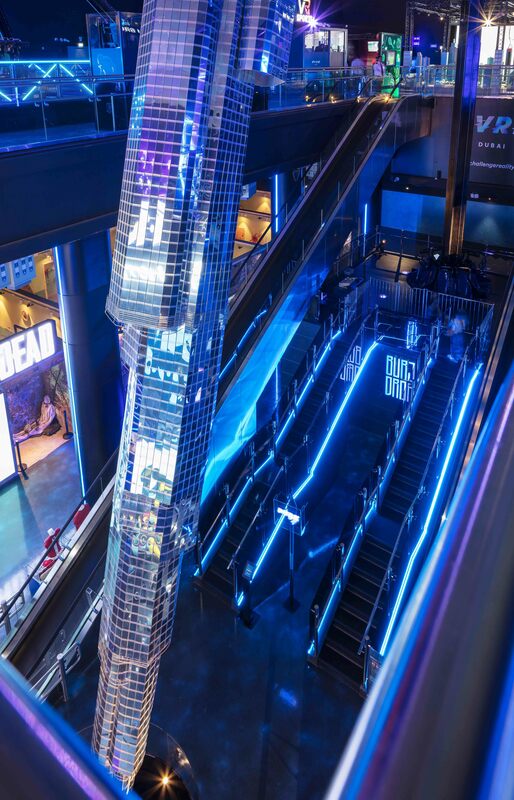 The infrastructure of downtown Dubai is projected as a video map on the ceiling while the columns beside the Burj Khalifa are designed as building models to create the illusion of walking through the upside-down version of Dubai. This reoccurring theme influences the design approach of the entire interior space. 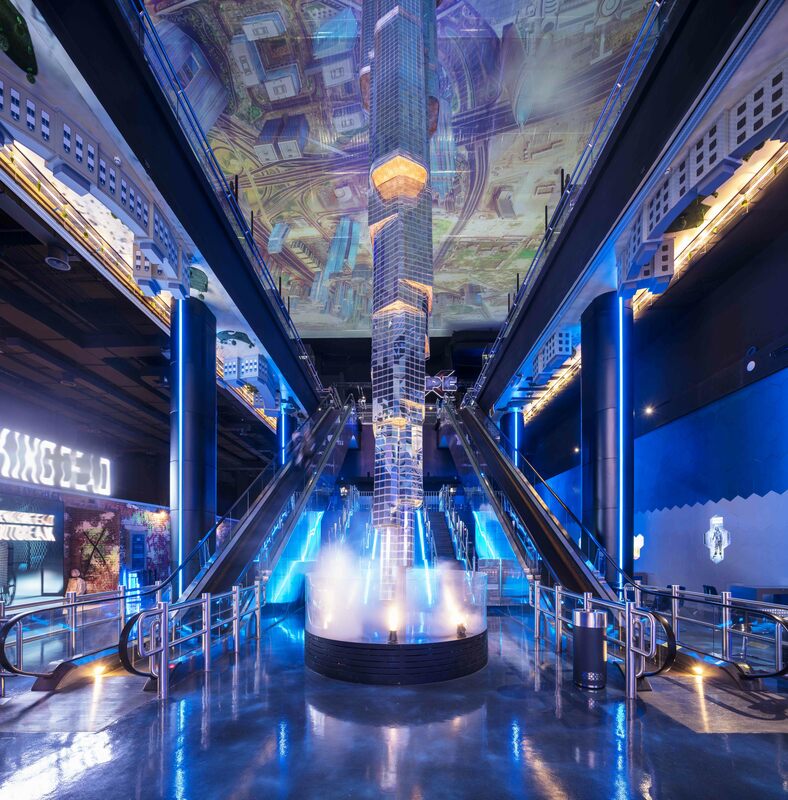 For example, the reflective blue epoxy flooring replicates the Dubai night sky while the handrails and staircase are designed to demonstrate the look and feel of Burj Khalifa itself. The façade was the highlight of the project. It tells the entire story. 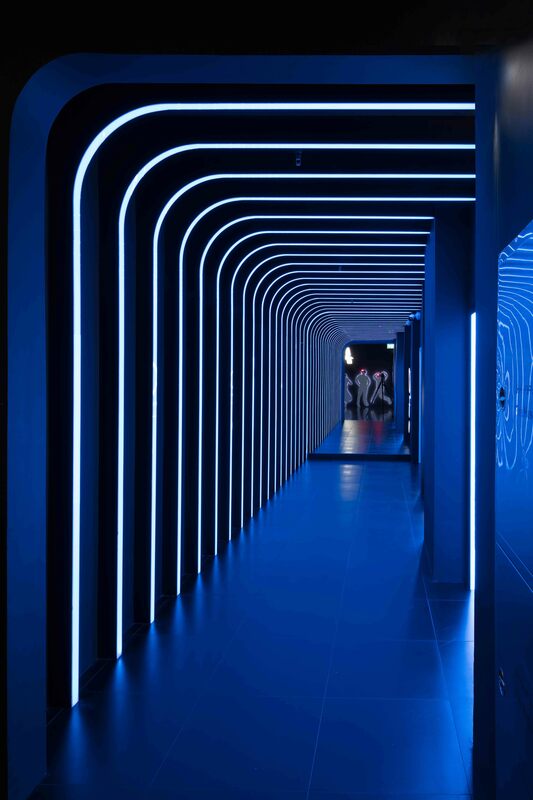 We wanted to start the story from entrance which would be reinforced as you walked through the entire space. 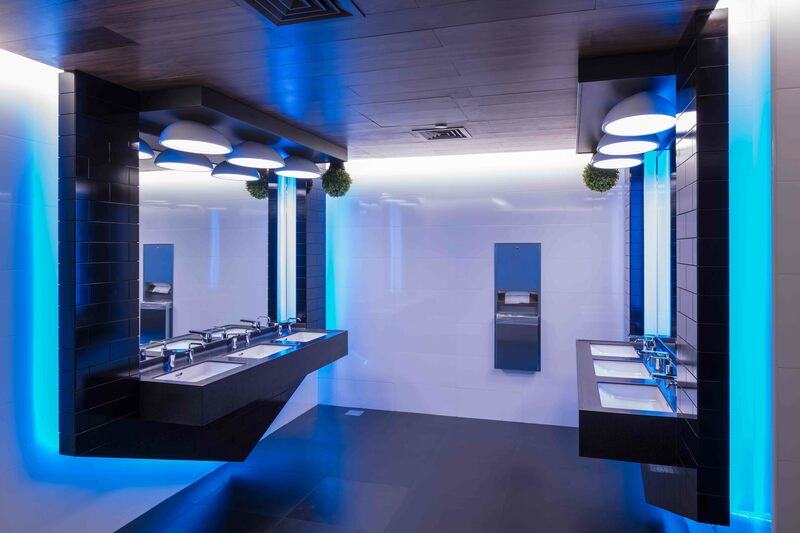 4SPACE crafted an innovative, unique, and delightful design using modern technology. 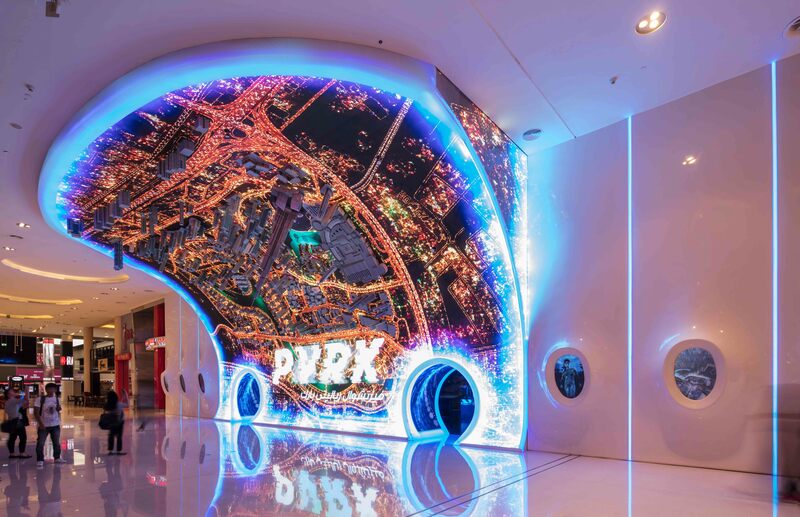 The large 90 degree curved LED display screen panel shows a complete cityscape of downtown Dubai bent upside down. 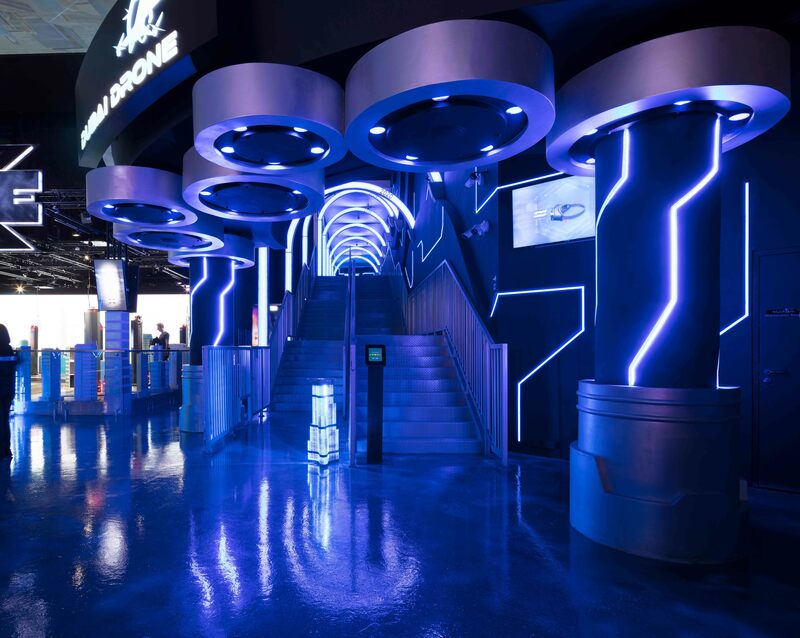 It was designed with the intention of alluding to the user, the magnificent experience awaiting them inside. The LED screen showcases Dubai during the day and night with fascinating animations. The SBID International Design Awards is one of the most prestigious, credible, and enjoyable events in the design industry calendar. It pays tribute to the projects and designers making their mark in the interior design industry. The awards attract the world’s top designers and potential clients around the globe. If you missed last week’s Project of the Week with the transformation of an uninspiring driveway into the ultimate luxury man cave, click here to see more.